This is the button pack that contains all of the hand dyed buttons used on the April Truck Full of Joy pillow. 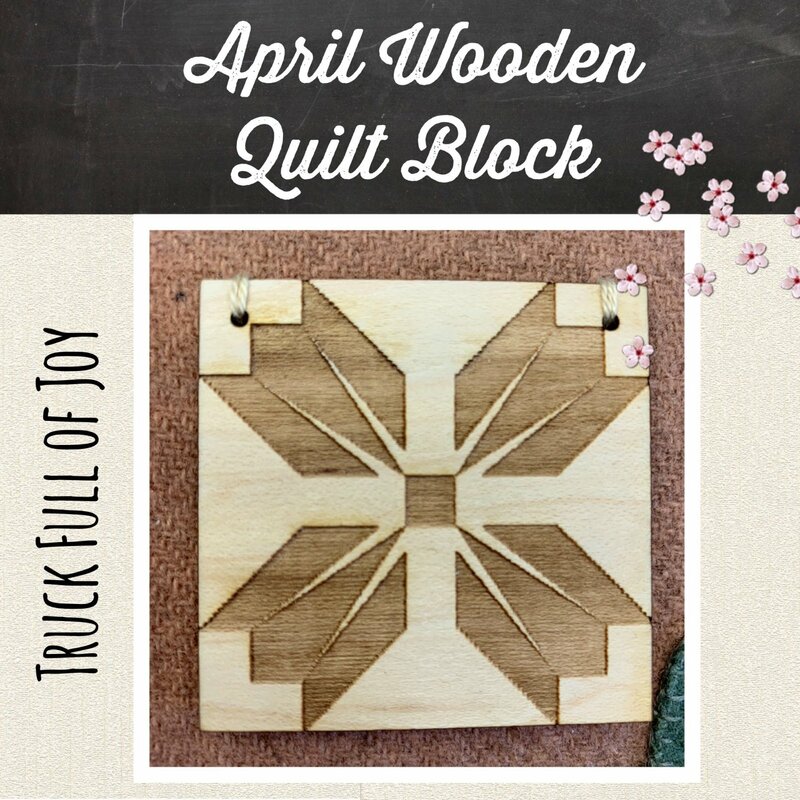 This is the wooden quilt block that is shown on the door of the April Truck Full of Joy pillow. This is the button pack that contains all of the hand dyed buttons to complete the January Truck Full of Joy pillow. 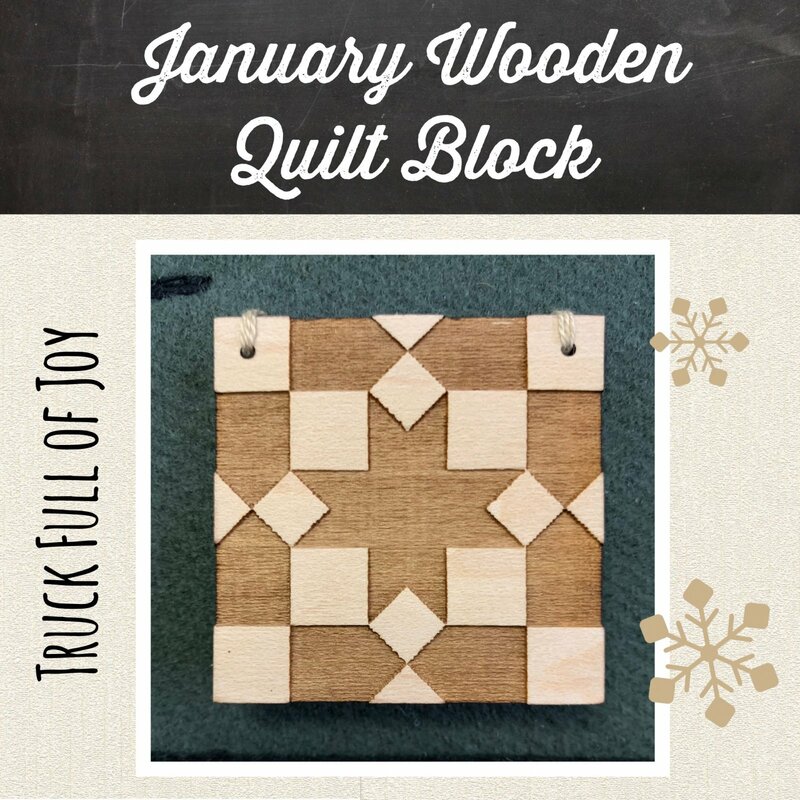 This is the wooden quilt block that is shown on the door of the January Truck Full of Joy pillow. 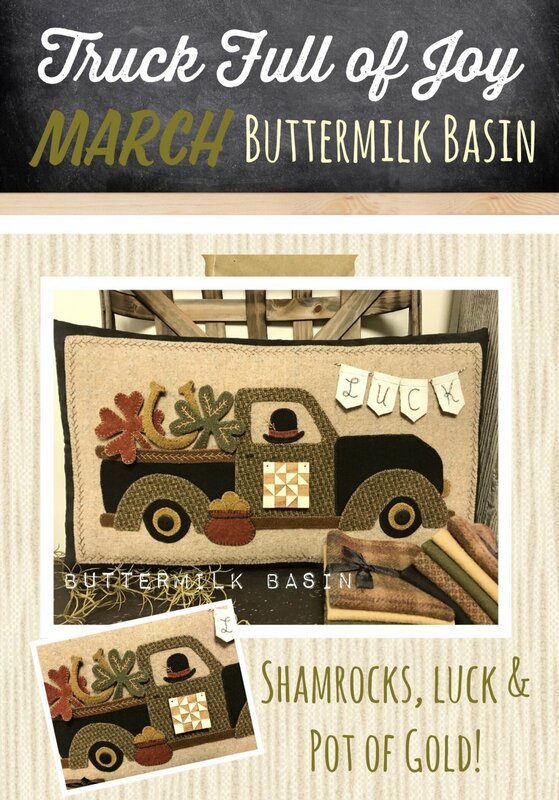 This month's truck is delivering shamrocks, luck, and a pot of gold!!! 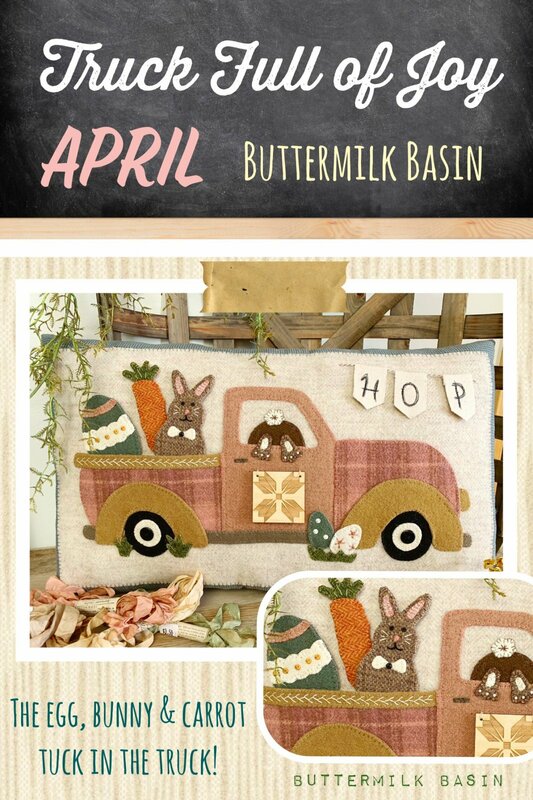 Kit includes wool, fabric, banner fabric, twine & pattern. 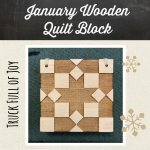 Quilt block sold separately! Size 12 X 20 inches! This month's truck is delivering shamrocks, luck, and a pot of gold! This is for the pattern only. 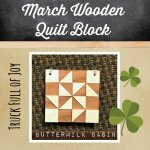 Quilt block sold separately! Size 12 X 20 inches! 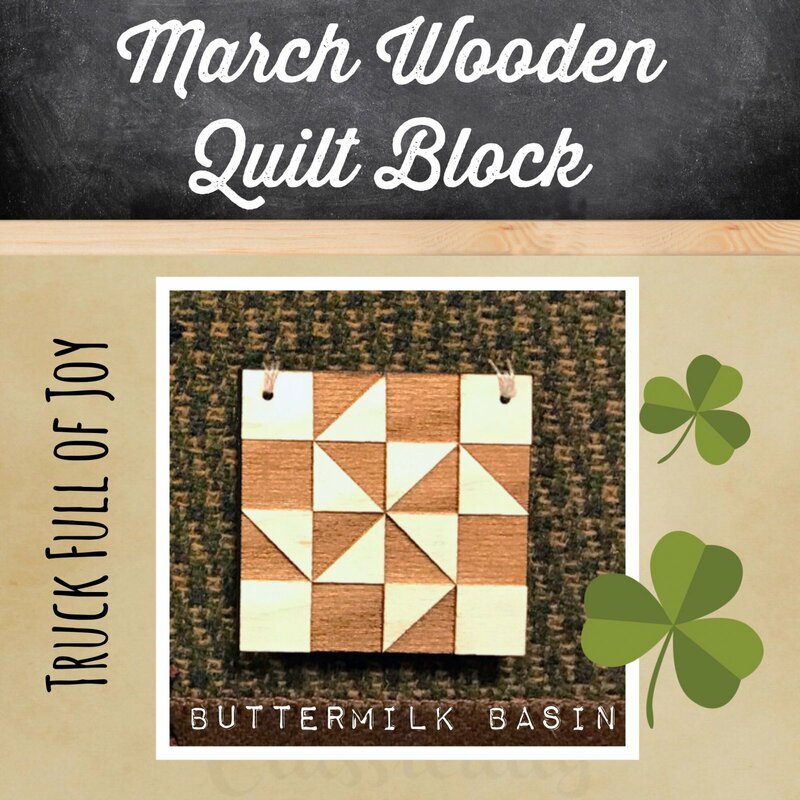 Hand made wooden quilt block for March Truck full of Joy Monthly Pillow! Size 2 X 2 inches with pre-drilled holes to easily attach to truck door! This month's truck is delivering hearts & love all around! 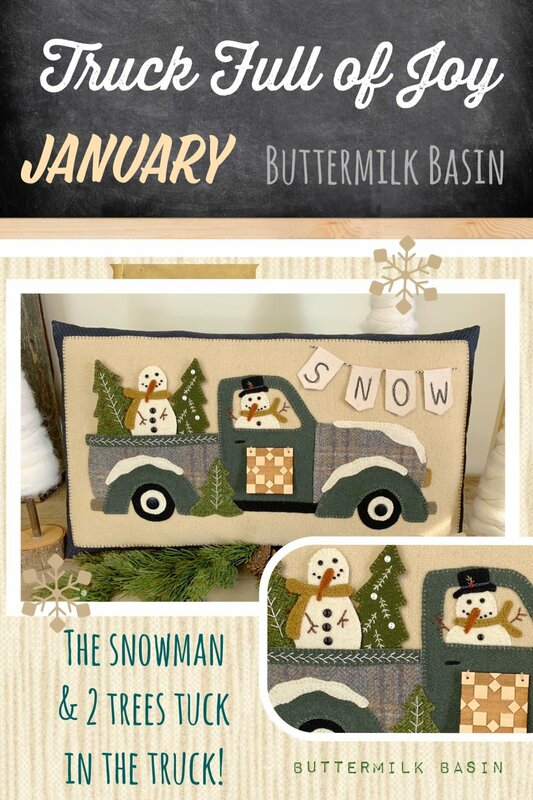 Kit includes wool, fabric, banner fabric, twine & pattern. Quilt block sold separately! Size 12 X 20 inches! 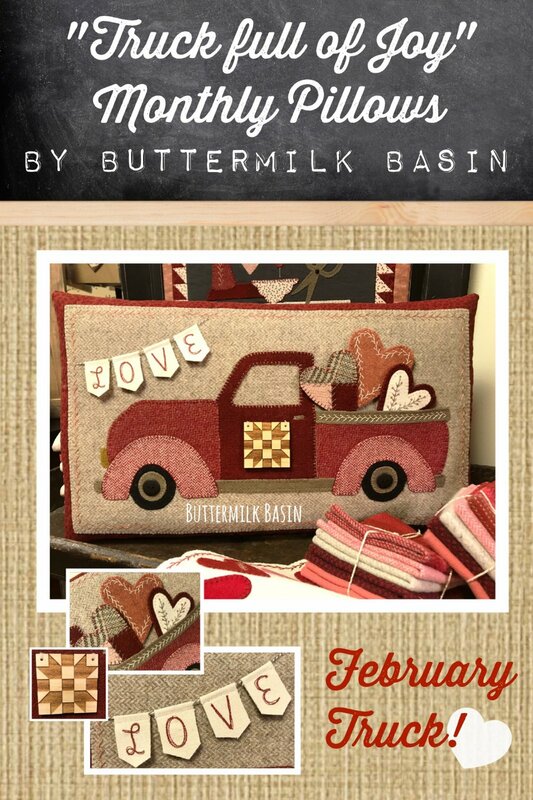 This month's truck is delivering hearts & love all around! Quilt block sold separately! Size 12 X 20 inches! Hand made wooden quilt block for Truck full of Joy Monthly Pillows! Size 2 X 2 inches with pre-drilled holes to easily attach to truck door!